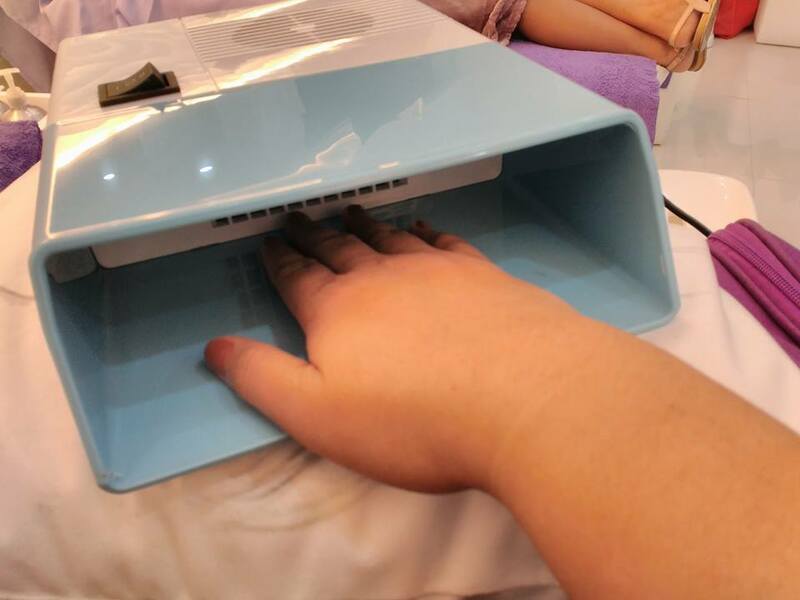 While you can certainly do your own nails at home, visiting a nail salon is still something most people love to do. 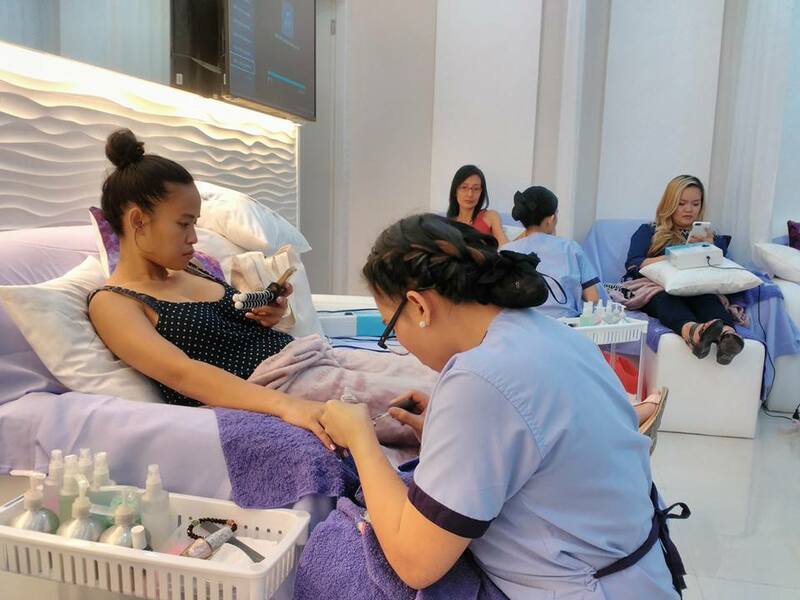 Sipping tea and reading on the tablet, all while having your nails trimmed, filed, and polished? It’s a luxury. 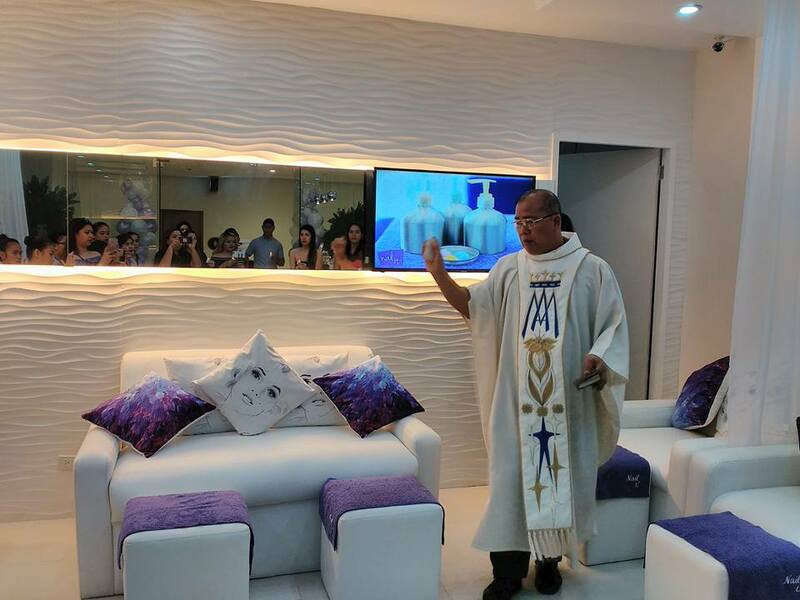 It’s no wonder why there are so many manicure salons in the metro. But with this many choices, which will make the best fit for you? 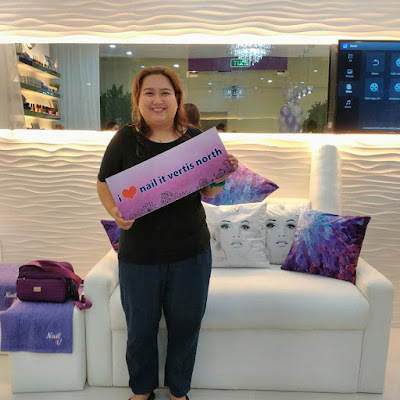 Purple Plum Fairy recently visited Nail It Vertis North for you so you don’t have to do much legwork. 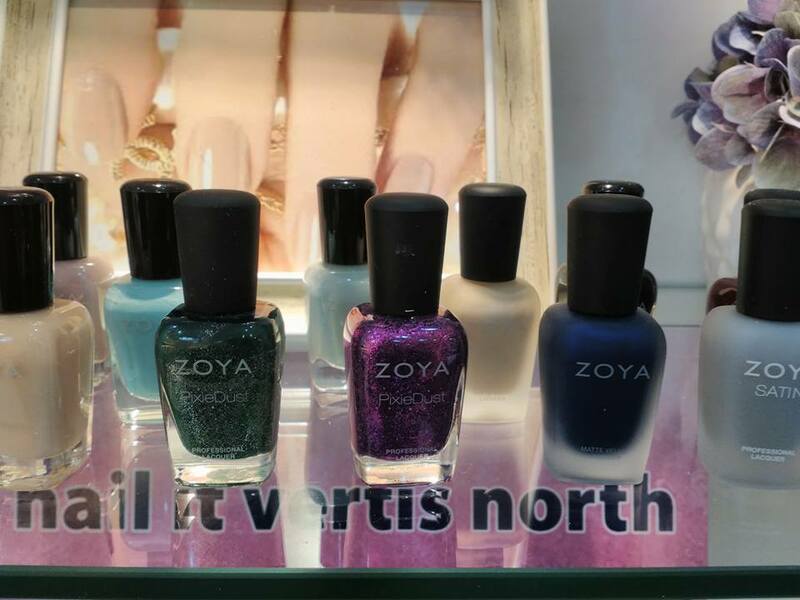 Nail It Vertis North is a winner in its own right. Not only is the nail salon socially-conscious, it is fully committed to giving back to the local community. 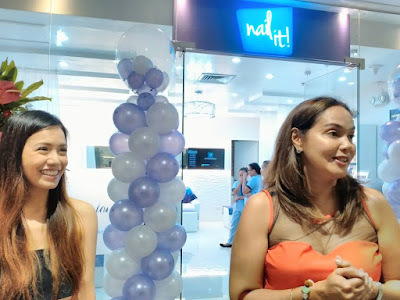 For the most part, all products used for nail services here are non-toxic, eco-friendly, fair-trade and/or cruelty-free. 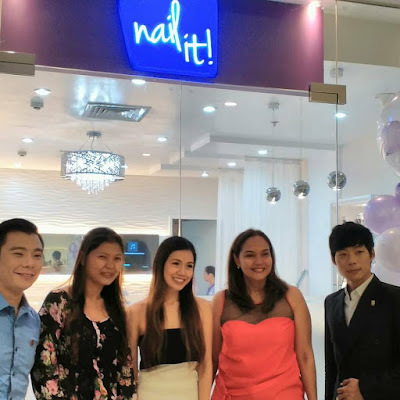 Also, it is worth a mention that their manicurists at this lifestyle concept salon are local underprivileged women whom they’ve offered vocational training and employment opportunities for! 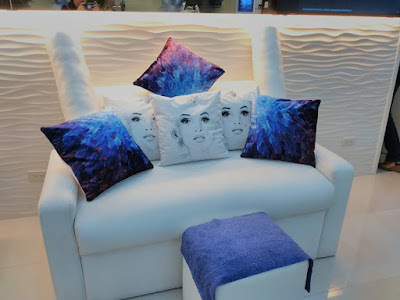 Nestled amongst a slew of establishments on the third level of the new Ayala Mall called Vertis North [strategically located just across another Ayala Mall, Trinoma in Quezon City], Nail It Vertis North have in-house manicurists who are known to create nail art according to your whim and fancy so bring along photos of your inspiration if you want them to recreate any designs that you are dying to put on your nails. 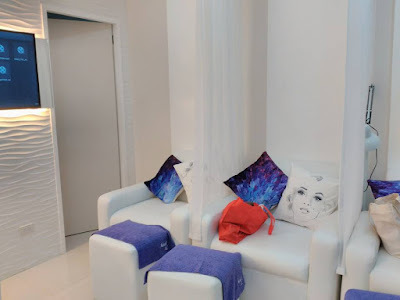 The average price for a nail art gel here is on the pricier side but for the level of professionalism and superb nail jobs, we think it is worth every penny. General sentiments seem positive. 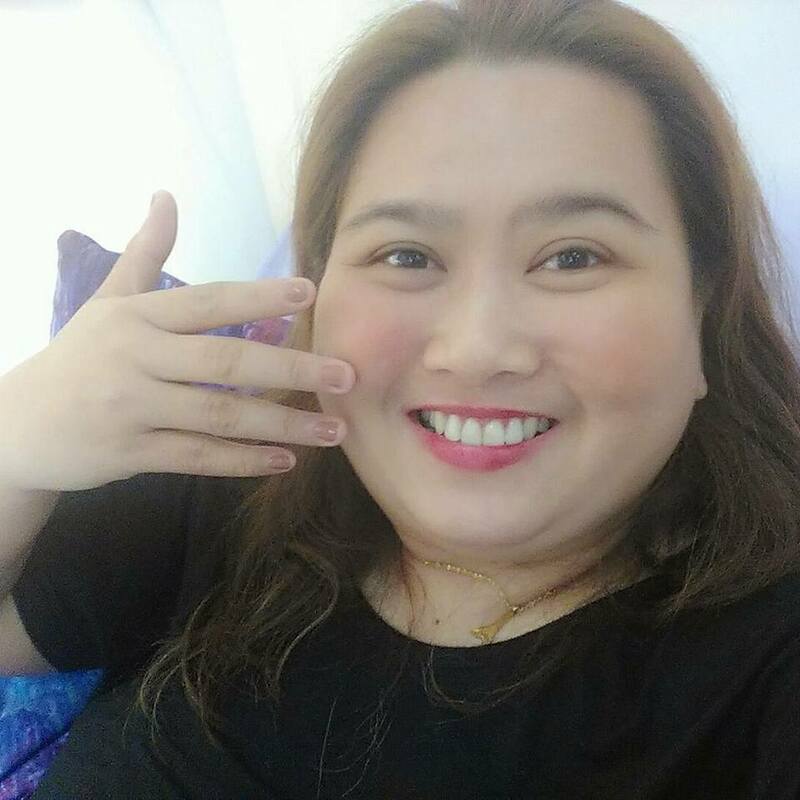 Patrons feel that they offer amazing service and creative nail art, coupled with an ultra friendly and experienced manicurist. What more can we ask for? Besides the usual manicure options that you get from mainstream nail parlours, Ladyfinger takes your nail beautifying experience up several notches by introducing a range of deluxe spa manicure and pedicure options that you may choose from depending on your needs. You also have to commend them for the Nail It Vertis North "5 Point Sanitary Check" which includes: 1. sterilization of the tools to assure 100 % hygienic for customer's safety. 2. new towels used per customer. 3. 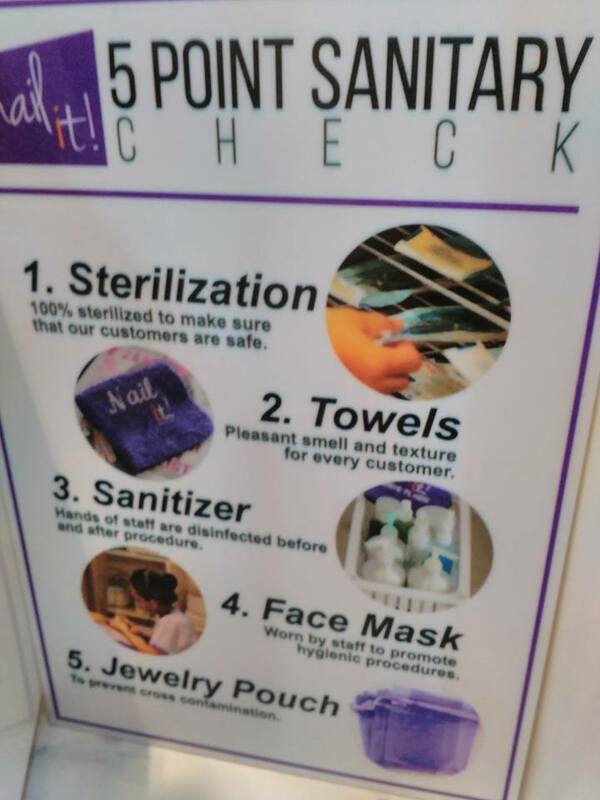 Sanitizer. need I explain more? 4. 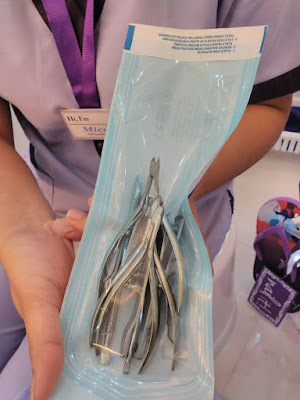 Face mask for the staff's use 5. 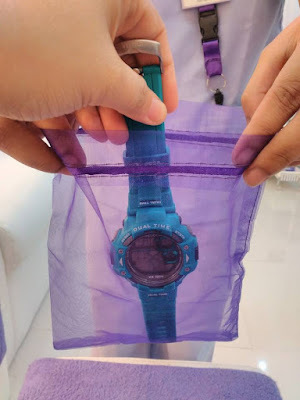 Jewelry pouch for every customer's convenience. My Veloci watch had to be put inside this jewelry puch for safekeeping as I enjoy my treatment. An exclusive indulgence that could possibly be right up your alley if you have some more minutes to spare and try their packages. Using organic, their therapeutic nail treatments strives to calm you down spiritually while pampering and beautifying your hands and nails at the same time. It is noteworthy that all the nail elixirs and lacquers used are vegan-friendly and free of nefarious components such as toluene, formaldehyde, formaldehyde resin and dibutyl phthalate (a.k.a. DBP). A customer tinkers with her gadget while the staff works on her hands. 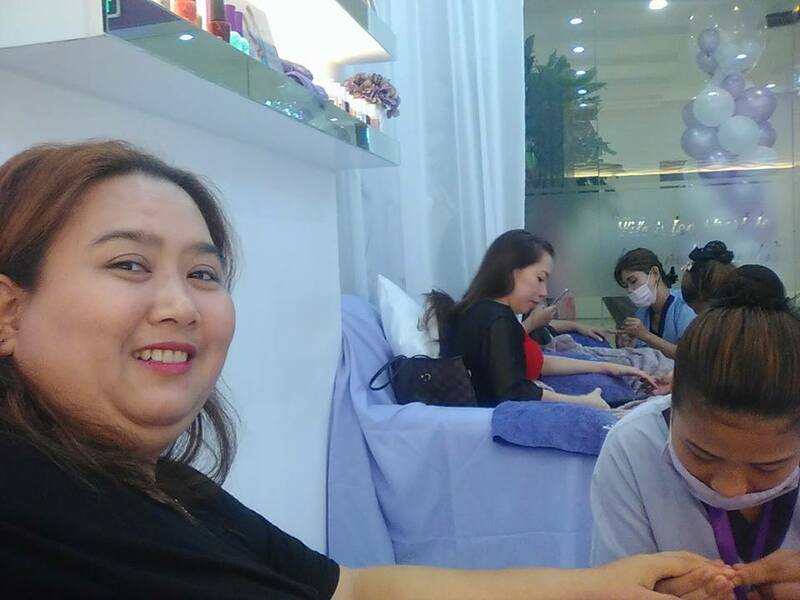 Purple Plum Fairy here is shown all-smiling as my manicurist trims my fingernails. My pedicurist does wonders for my feet. I love Nail It Vertis North for its service and interiors + quality! 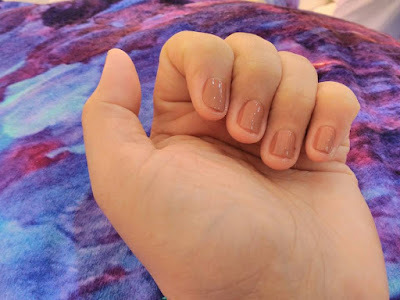 At the end of the manicure, my nails were so pretty I could not stop looking at them. And, like my manicurist said earlier – yes, it did made me happy. 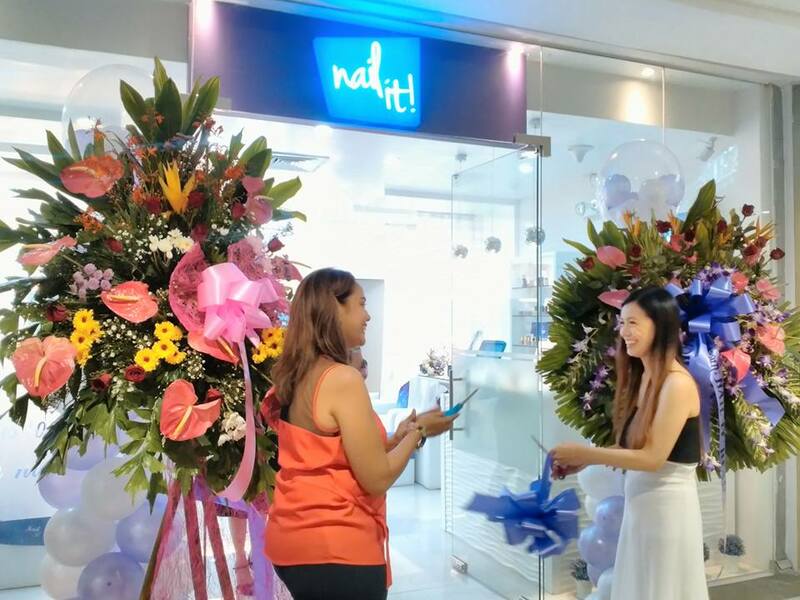 Congratulations to Nail It Vertis North on their blessing and opening. 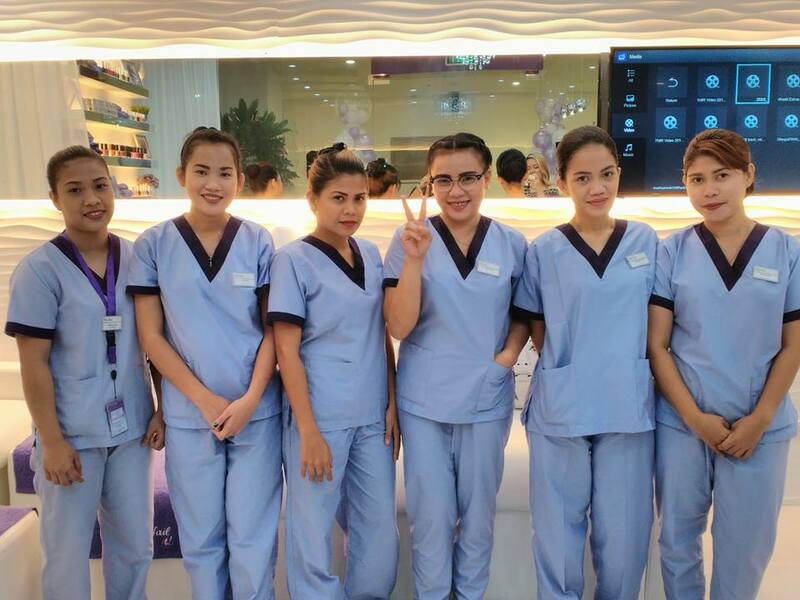 Feel free to visit them and drop by anytime for one fab pampering session for your nails and digits! 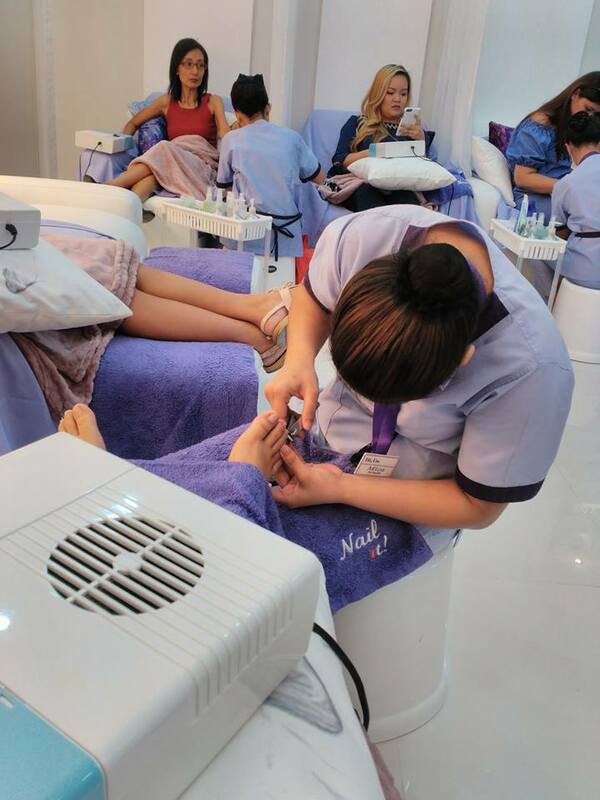 I highly recommend Nail It Vertis North to everyone for their superb service and fab nails! Visit them at the 3rd floor of the newly opened Vertis North [near Trinoma mall] in Quezon City. For more info, call 0915-6838086. They are open from Mondays to Sundays from 10Am-9PM. Like them and follow them on Facebook.